Tipping Point Theatre has changed the landscape of downtown Northville since its doors opened in 2007. The theatre is small and quaint, seating about 100 patrons and it is very warm and welcoming. 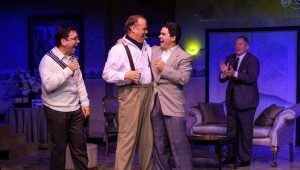 The spotlight is not only on the intimate staging and incredible actors, but the audiences have their own star quality, as well as our generous sponsors garnish rave reviews from TPT patrons. 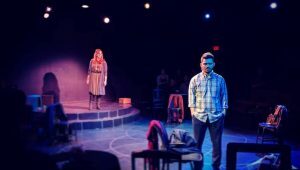 It is the only professional theatre in the Western Wayne County area and prides itself on producing high-quality, accessible and affordable theater for the community of Northville as well as the Metro-Detroit area. TPT strives to revive classic plays, world premieres and musicals and to bring the best of current off-Broadway productions to Northville. They also have a strong Education Outreach Program in addition to offering classes for both adults and children. In theatrical terms, the tipping point is a moment that the course of a play shifts and there is no way to go back to the way things were. Often, plays center around the most important moments of a characters’ lives. Through the course of the play, characters encounter tipping points that alter their lives in some way. TPT believes that the theatre we create has the power to inspire tipping points for the individual patron as well as the community as a whole. and 90 minutes prior to performances.